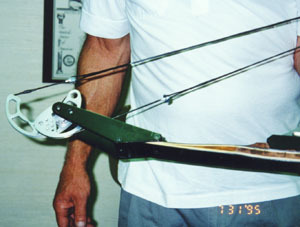 take down to put into a case. 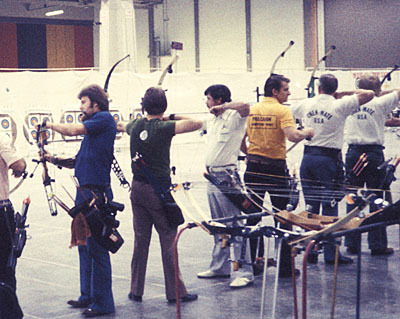 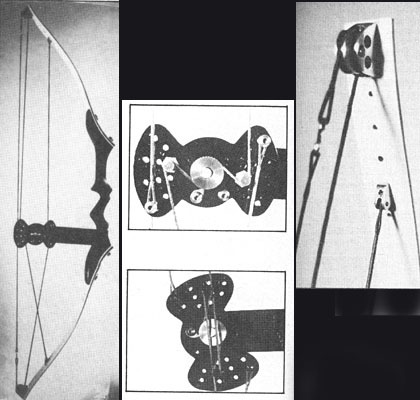 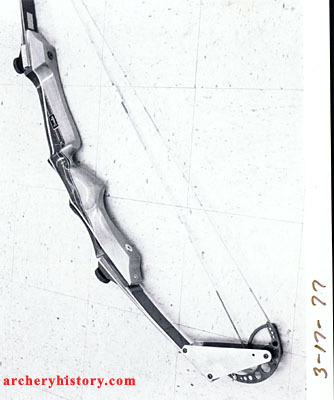 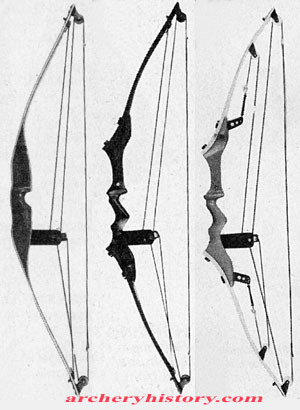 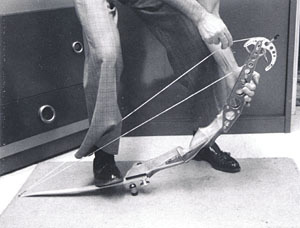 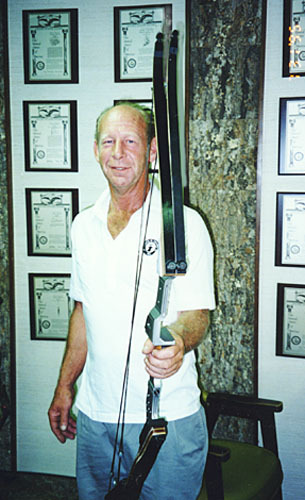 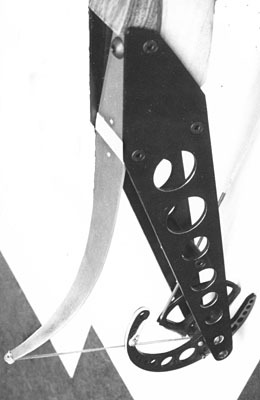 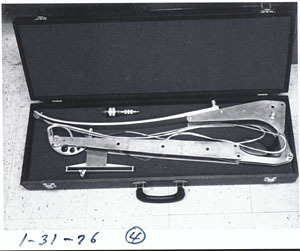 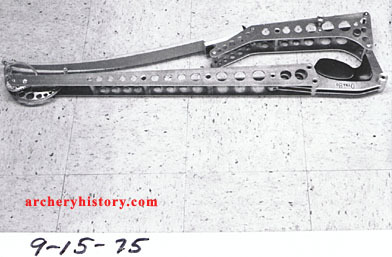 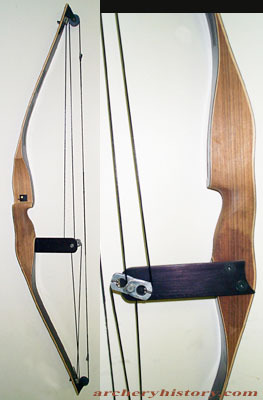 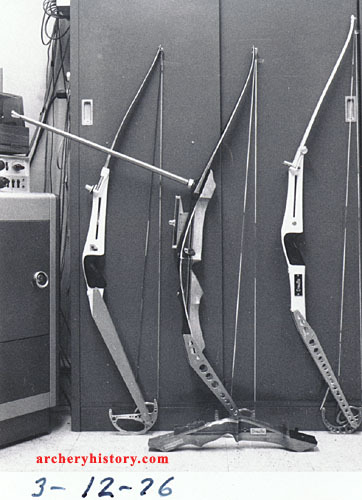 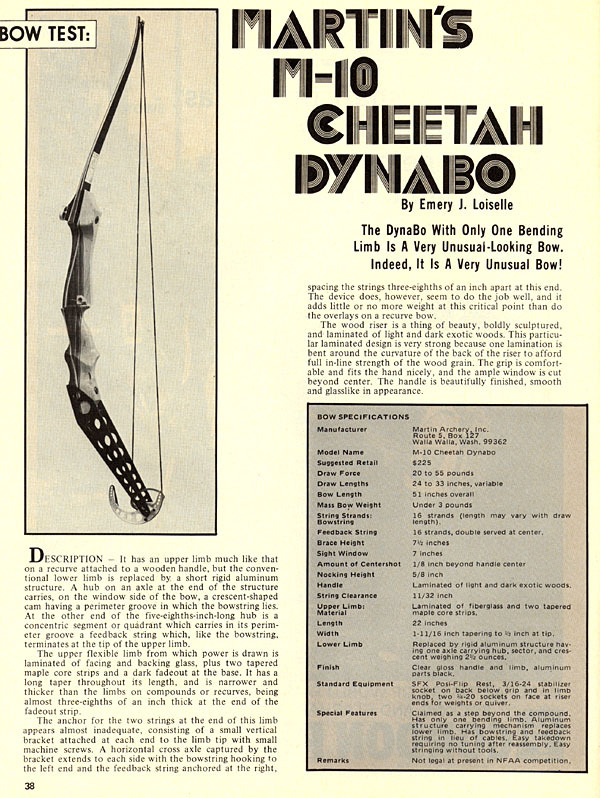 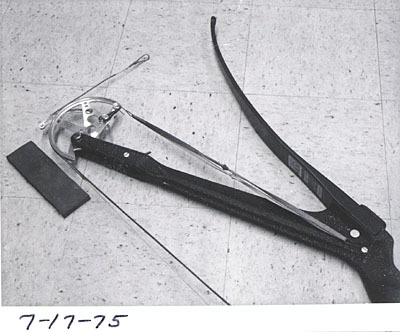 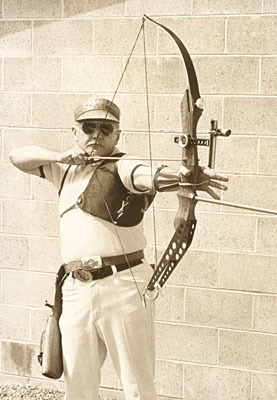 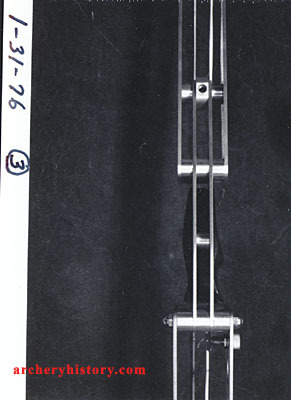 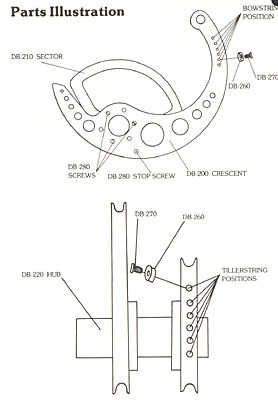 Limb design featured four adjustment positions. 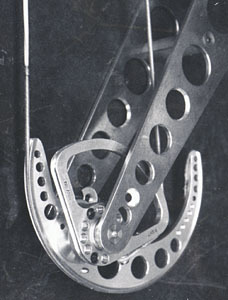 Early one cam design made from Kam-Act This is the original photo taken by Len Subber. 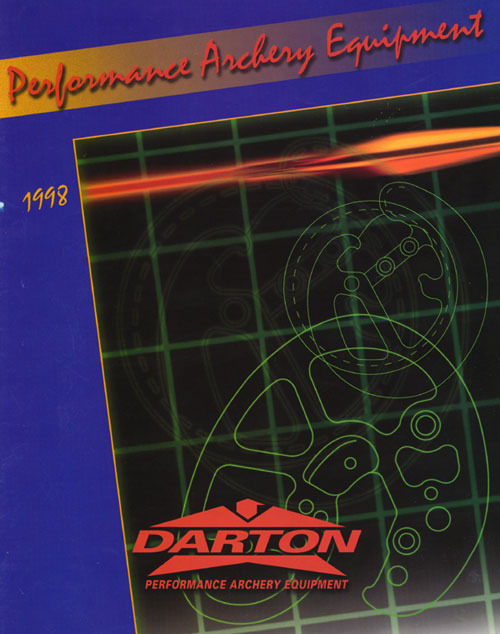 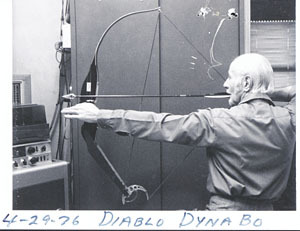 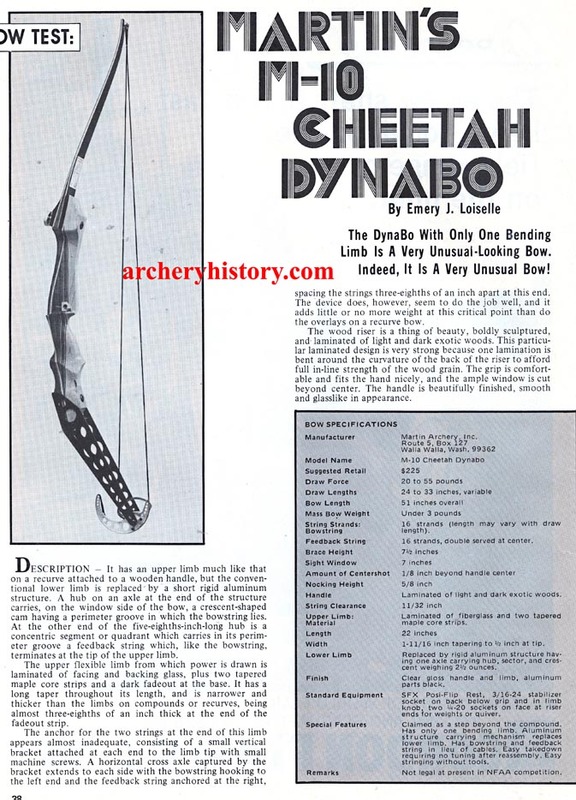 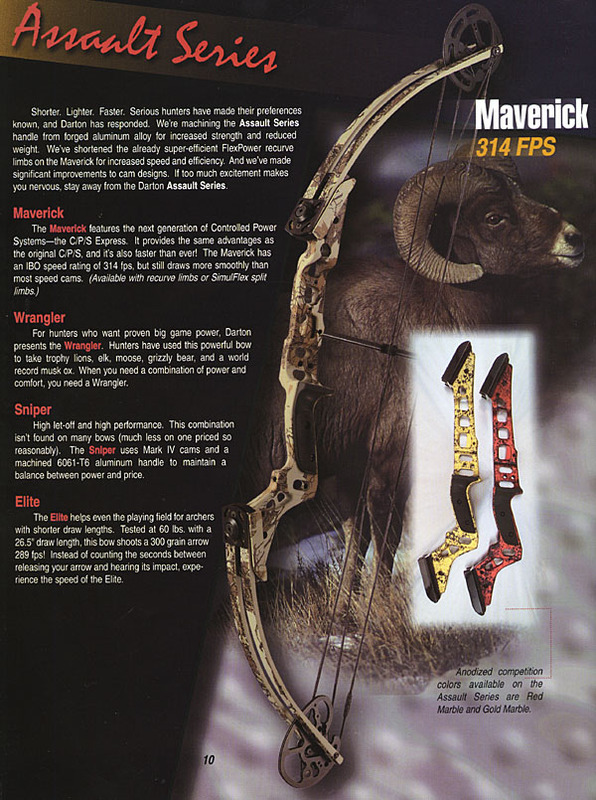 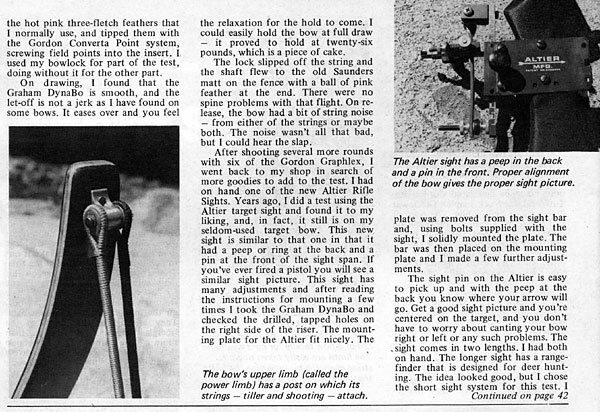 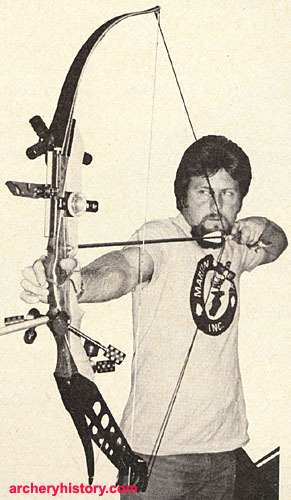 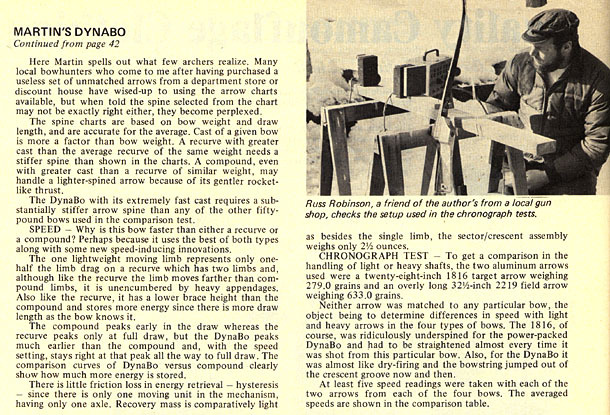 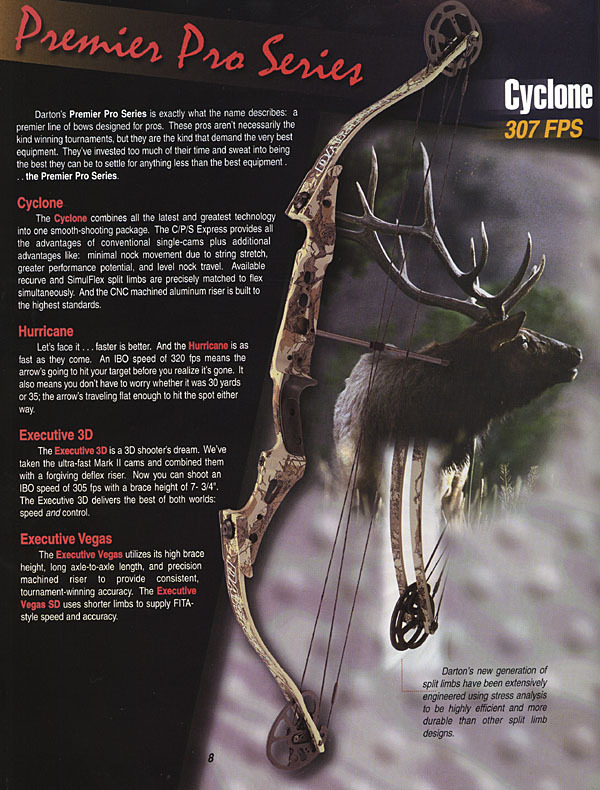 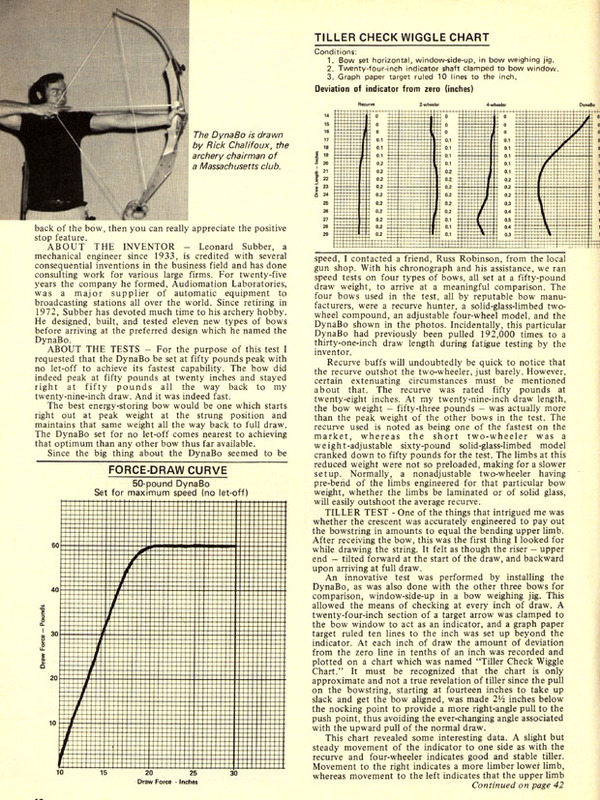 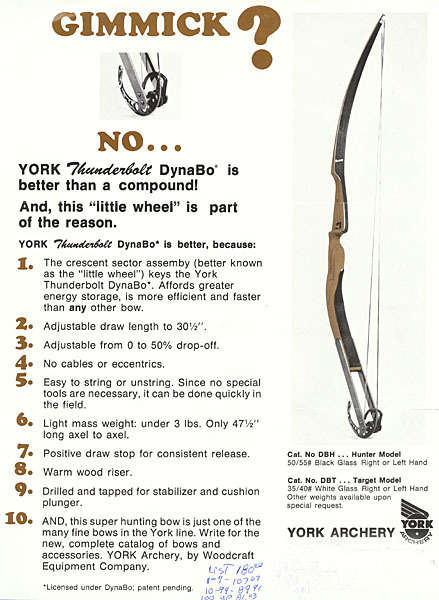 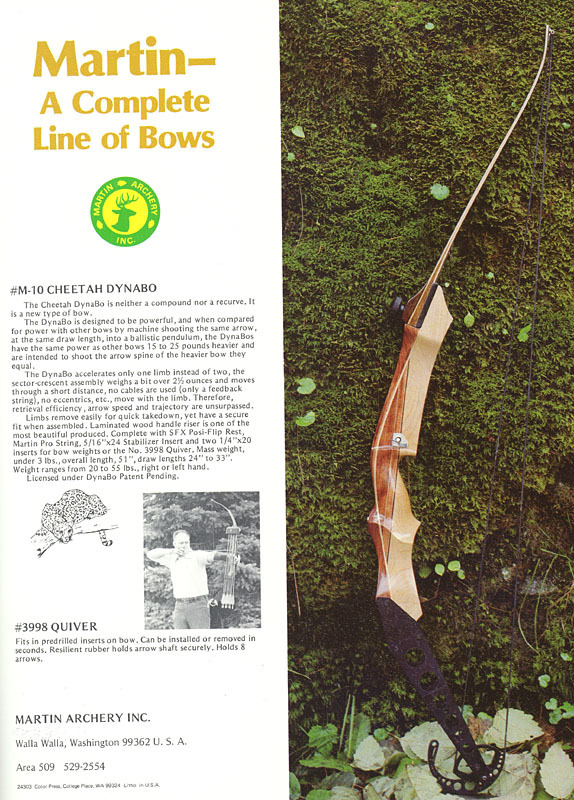 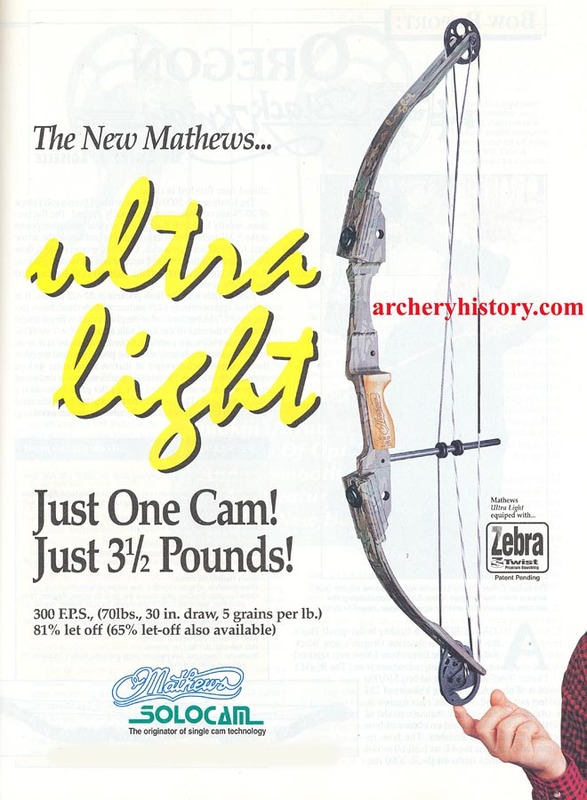 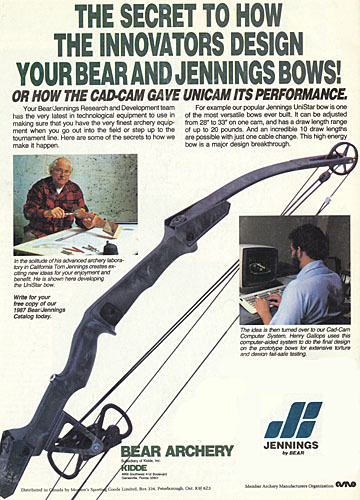 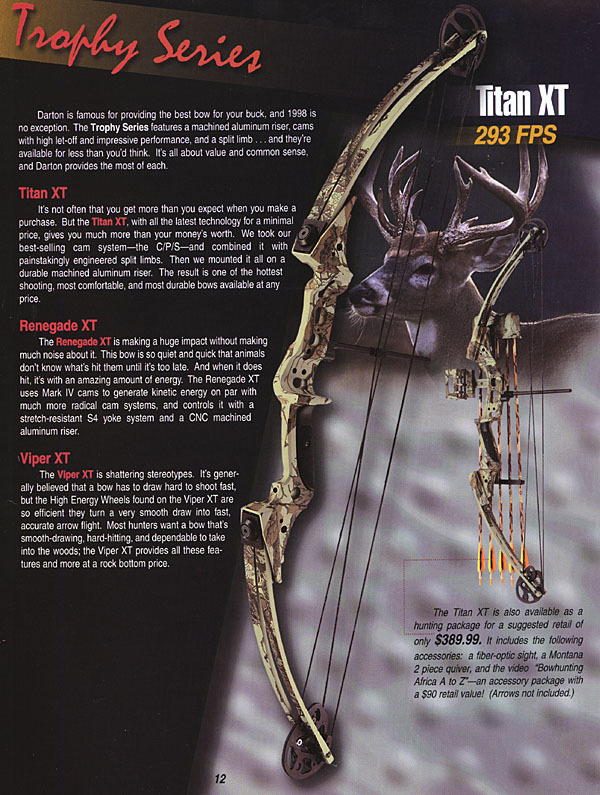 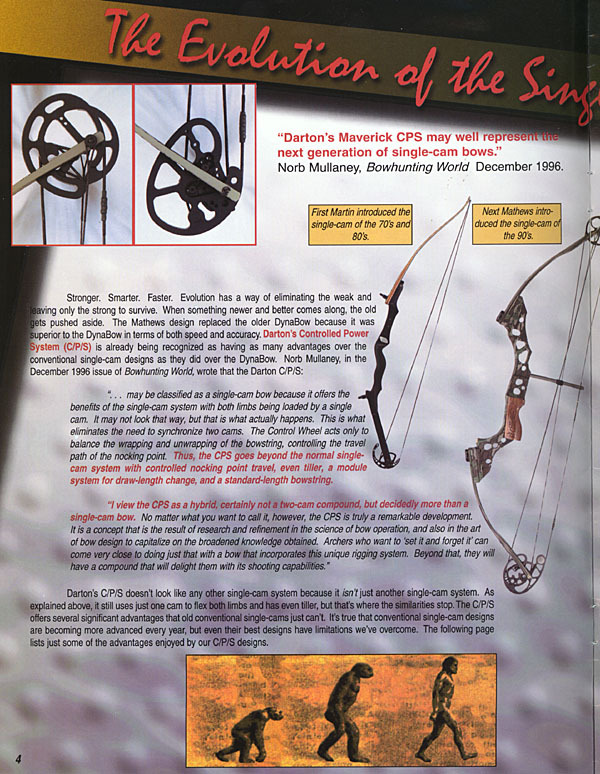 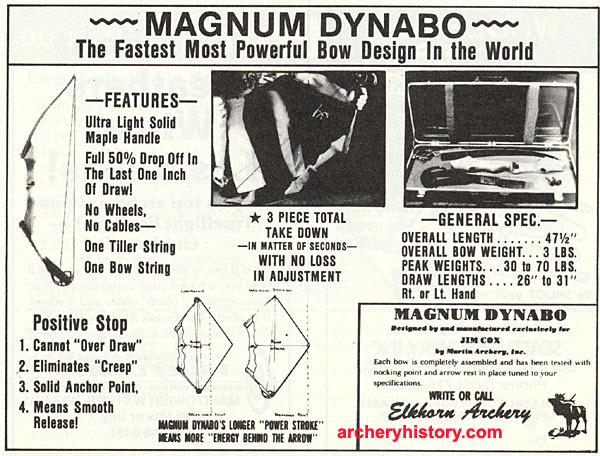 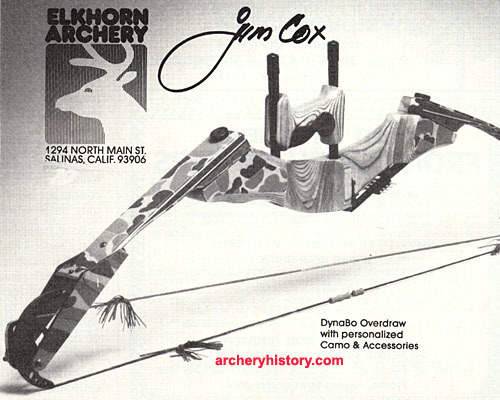 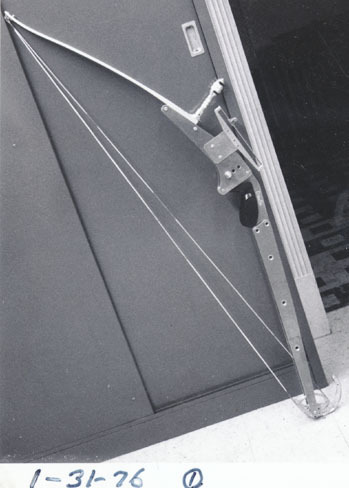 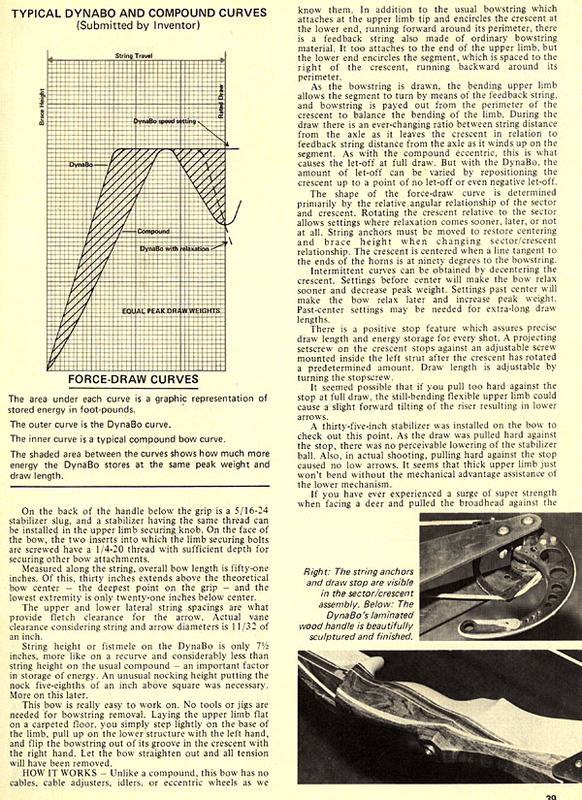 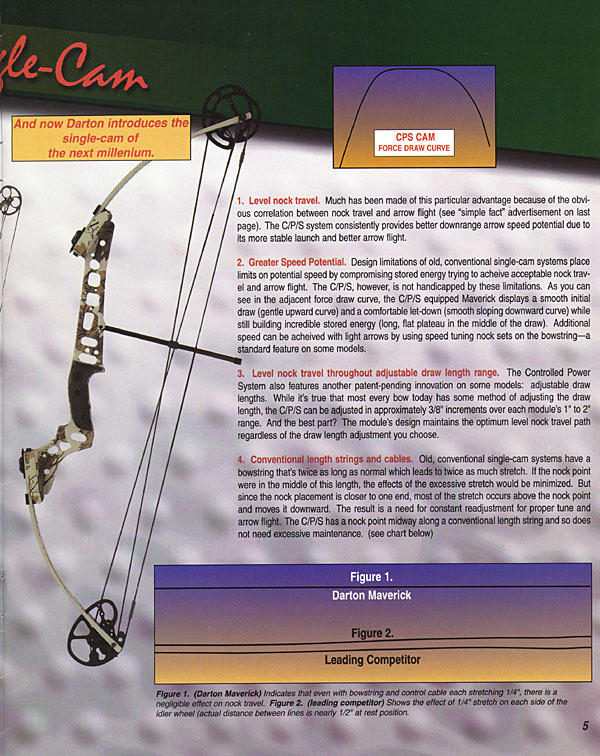 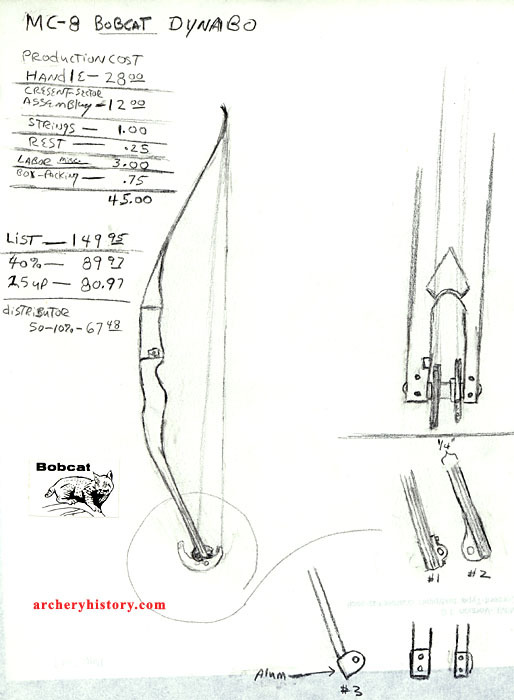 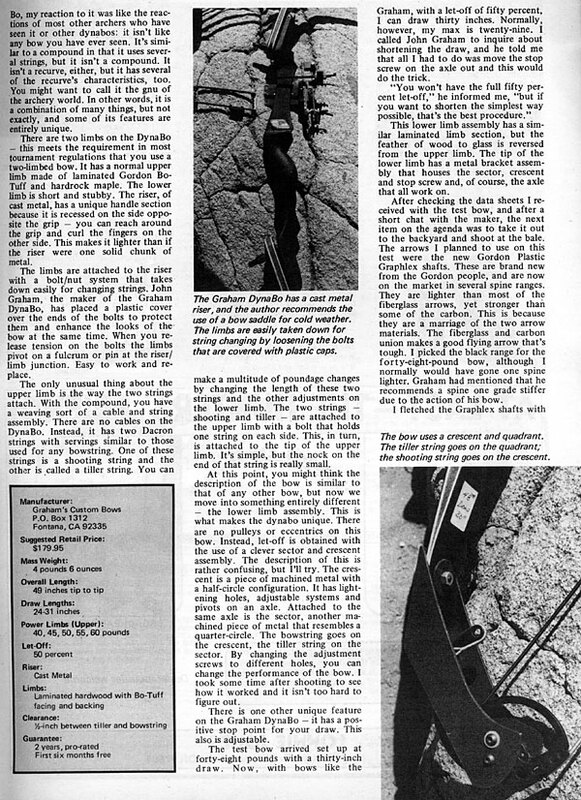 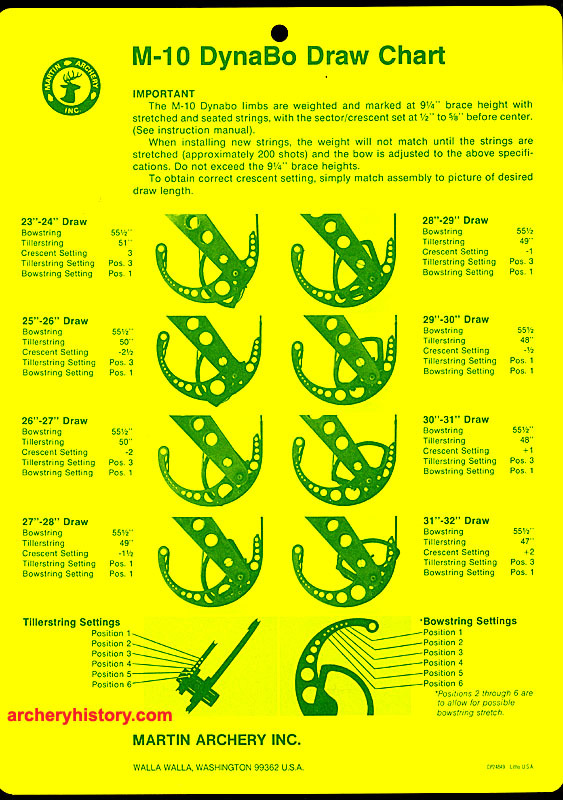 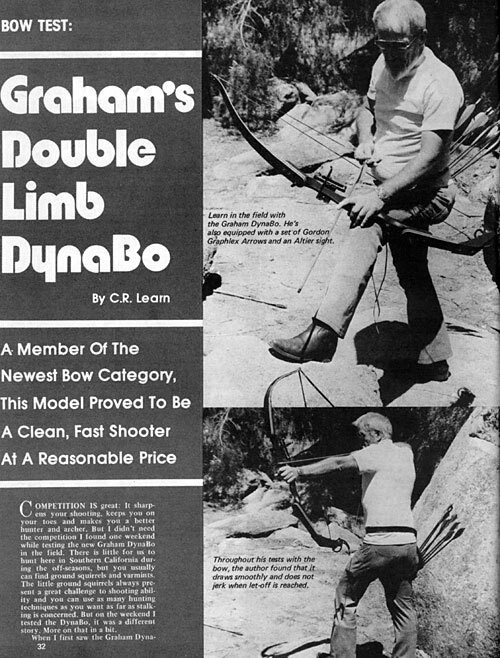 Martin Archery 1977 catalog page The Dynabo had a positive draw stop, was the first all string compound and easy take down feature.